Yusuf Omar is a multi-award winning journalist and Co-founder of Hashtag Our Stories, a TEDx speaker and former CNN Senior Social Media Reporter. Previously the Mobile Editor at the Hindustan Times in India, he empowered 750 journalists to tell stories with the phones. He has been a foreign correspondent with just his phone since 2010 and covered the Syrian civil war. At #OurStories, he’s empowering mobile video storytelling communities around the world. Mary Robinson is a founding member of the The Elders and has taken part in a multitude of peace, gender equality, and climate justice projects. 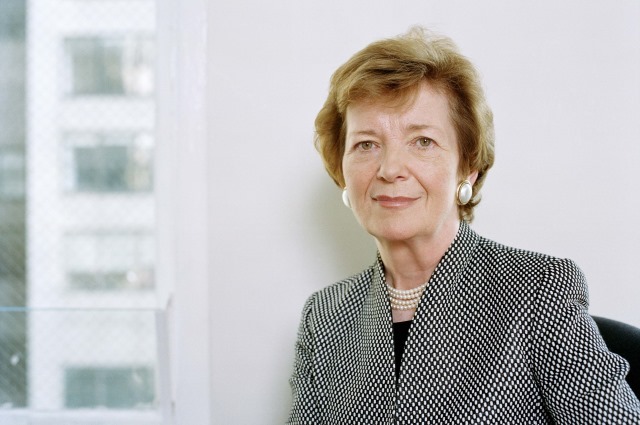 Mary was the first woman president of the Republic of Ireland from 1990 to 1997 and was the United Nations High Commissioner for Human Rights from 1997 to 2002. She heads the Mary Robinson Foundation - Climate Justice, which focuses on sustainability education and advocacy for the world’s poorest, and she also created the Mothers of Invention Podcast, which blends environmental law, grassroots activism, and feminism to present radical new ways of fighting not only climate change, but the systems that have created it. Victor Ochen is the founder of AYINET, the African Youth Initiative Network, and is a Global Advisor to the United Nations High Commissioner for Refugees. Nominated for the Nobel Peace Prize in 2015, he founded AYINET after witnessing the atrocities of the Lord’s Resistance Army against the Ugandan people. Since its founding AYINET has provided medical treatment to more than 20,000 victims of war, and continues to work to promote peace and justice throughout Africa and around the world. As a graduate from both Stanford and Oxford, Mr. Ochen is an ambassador for SDG 16 - Peace and Justice, and is a global leader in transitional justice and providing care to those who are most difficult to reach. Alaa Murrabit is the UN High-Level Commissioner on Health, Employment, & Economic Growth, and is global advocate for women’s rights, religious minorities, and access to healthcare for all. Founding The Voice of Libyan Women in August 2011, she ensured that Libyan women were able to advocate for their rights in the immediate post-revolutionary Libyan state. As a member of the High Level Advisory Group on the study of Security Council resolution 1325, Alaa worked with other influential peacemakers to monitor and report to the Security Council on the progress made on resolution 1325, Women, Peace, and Security. As a Forbes 30-under-30, a Newsweek “One of 25 women under 25 to watch”, and the New York Time’s International TrustWomen Hero 2014, Alaa brings extensive experience in all levels of advocacy, changemaking, and inclusive peacebuilding processes. Ambassador Skoog is a Swedish diplomat with extensive experience from a number of top positions worldwide. 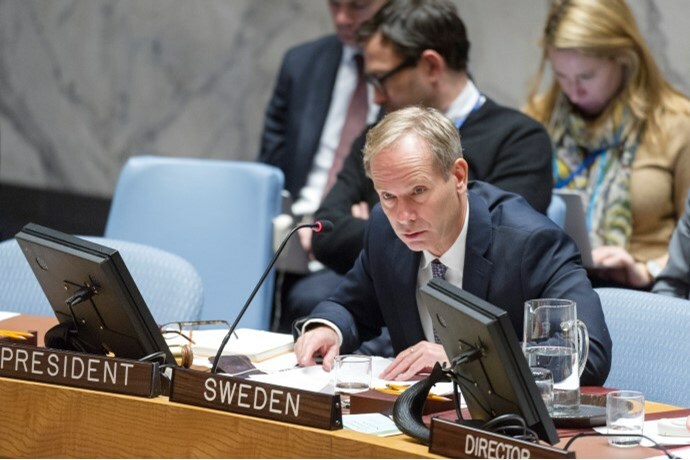 He has been Director-General for Political Affairs and has represented Sweden at the United Nations, at the European Union, and at the Organisation for Security and Cooperation in Europe (OSCE). He has been Swedish Ambassador to Colombia, Venezuela, Ecuador and Panama. He also served as Executive Assistant to Dr. Hans Blix in the UN verification of WMD in Iraq. Ambassador Skoog was most recently posted as the EU Ambassador to Indonesia and Brunei, also representing the EU to ASEAN. Prior to this, he served as the first Permanent Chair of the EU Political and Security Committee, coordinating the EU Common Foreign and Security Policy and establishing close partnerships with the UN and the AU. Ambassador Skoog serves as the Chairman of the United Nations Peacebuilding Commission. 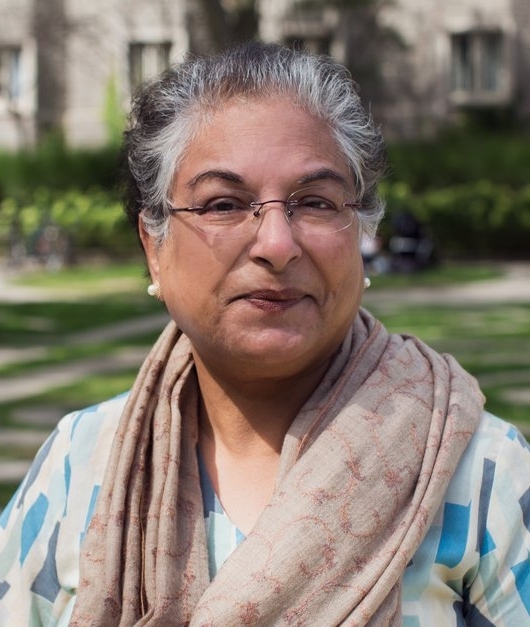 Hina Jilani is a member of the Elders and a world-renowned human rights lawyer and activist. Founding the Pakistan’s first all-female legal aid practice in 1980, she has gone on to be an instrumental part in the creation of the Human Rights Commission of Pakistan. An Advocate of the Supreme Court of Pakistan since 1992, she is one of the most prominent activists in Pakistan’s Women’s movement, and was Special Representative of the UN Secretary-General on Human Rights Defenders from 2000 to 2008. In that role, she brought attention to the plight of human rights defenders around the world, identifying the mistreatment, intimidation, and hardship they face while seeking justice for past crimes. She has won the 2001 Millennium Peace Prize for Women, the the International Human Rights Lawyer Award of the American Bar Association's Section of International Law and the Amnesty International Genetta Sagan Award for Women's Rights, among others. 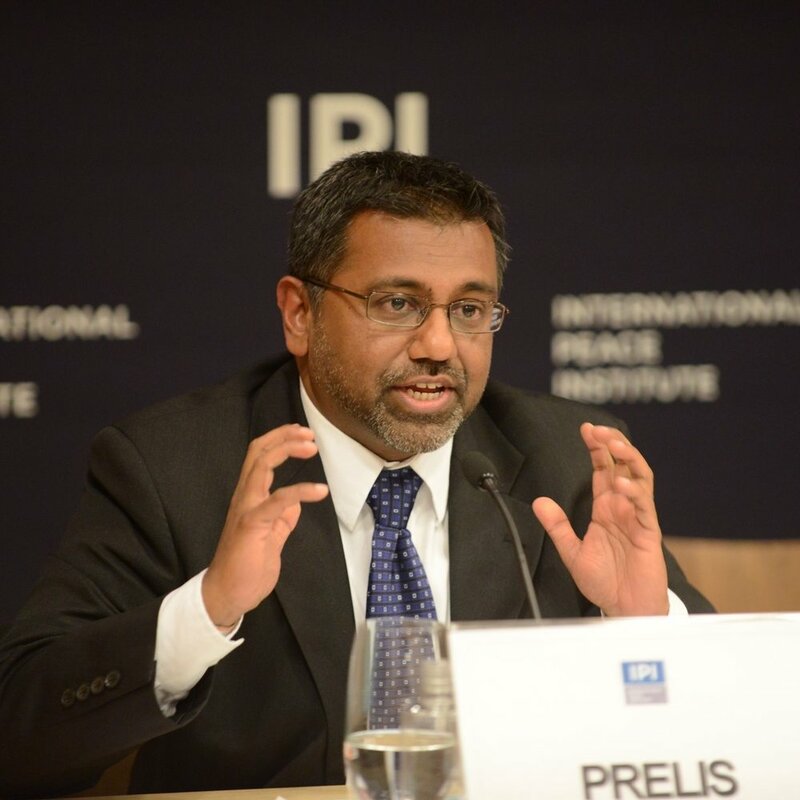 Lakshitha Saji Prelis is a founder of the UN-Civil Society Working Group on Youth Participation in Peacebuilding, and is the director for children and youth programs at Search for Common Ground, a 501c3 working to develop and implement shared solutions to destructive conflicts. As an advocate for Security Council resolution 2250, and as an advisor to governments and governmental agencies from countries such as Nepal, South Sudan, Sierra Leone, Liberia, Indonesia, Haiti and Uganda, he has worked tirelessly to ensure that peacebuilding processes do not leave youth voices behind. Fatima Madaki has over seven years of experience working in areas related to education, environment, peace building, gender, and leadership. She is the Conflict Management Research Fellow for Mercy Corps Nigeria and is responsible for coordinating programs related to inter religious peace building in Northern Nigeria. Fatima is the founder of Education & Sustainable Livelihood Youth Initiative (ESLYI), a youth-led organization that focuses on engaging youth; especially girls, in environmental sustainability, peace, and education related projects. She holds a bachelor’s of science in Psychology from the Federal University of Jos, Nigeria. Upon completion of the Washington Fellowship, she intends to provide conflict resolution assistance to pastoralist/herder and farmer conflicts in the middle-belt region of Nigeri. She plans to focus more on women and children affected by these conflicts and will organize women led peace initiatives aimed at promoting environmental sustainability, cultural tolerance, poverty reduction, and improving access to education for children. 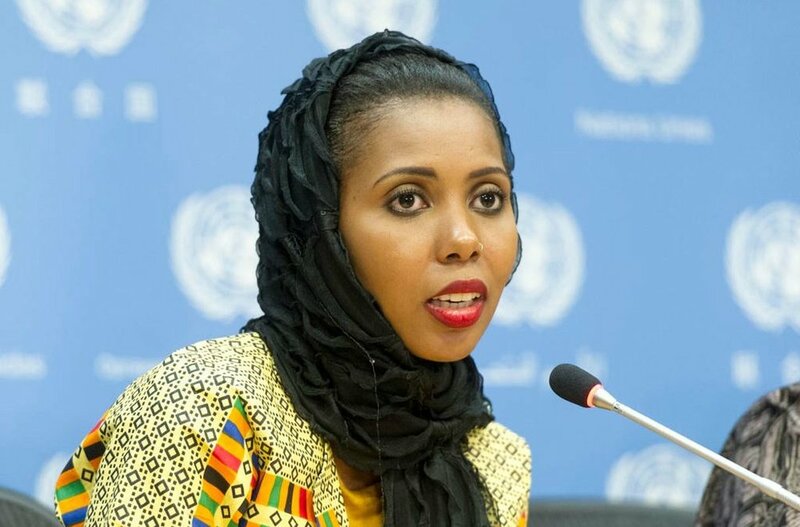 Jaha Dukureh is the UN Women Goodwill Ambassador for Africa. Jaha was born in Gambia in 1989 and became a US citizen in 2015. She is married with children from her second marriage. Her first, arranged marriage took place at age 15 to a much older man. She became the founder and CEO of non-profit organization Safe Hands for Girls in 2013. In 2014, she contributed through a successful Change.org petition to the Obama administration investigating the profile of FGM in the US and the subsequent the Summit to End FGM on December 2, 2016 at the United States Institute of Peace. Alongside women’s organizations and civil society, Jaha contributed to the Gambian Government announcing a ban on FGM through youth mobilization and campaigning in Gambia. In 2015, Jaha met (the then) UN Secretary-General Ban Ki-Moon for International Day of Zero Tolerance for Female Genital Mutilation in February. In April 2016, aged 25, she was named to the Time 100 list of the most influential people in the world in the “leaders’ list”.In March 2017, the feature documentary about her life and work to end FGM “Jaha’s Promise” was released. Jaha is currently working on social mobilizing in Gambia across the country’s villages, using a pink bus and screenings of her film to stimulate discussion and change. Antonia Kuhn is one of two German Youth Delegates to the UN General Assembly for the year 2018. She is currently enrolled as an undergraduate student at Julius-Maximilians-University Würzburg in Germany, where she studies law and European law with a focus on international human rights protection. She has lived, worked and studied in Finland, Sweden, Brazil and Mexico for 3 years altogether and speaks German, English, Finnish, Spanish, Portuguese, as well as basic French and Swedish. Next to her studies, Antonia is actively involved in international youth work via Rotex, representing the Green Party’s campus group in her university’s student parliament and advocating for human rights with Amnesty International, where she currently serves as head of her campus group. Antonia is strongly convinced that global solutions can only be found when all stakeholders get the chance to voice their perspective. She is therefore very grateful for the chance to represent the youth perspective at the UN General Assembly this October. Words Ignite provides young people with life-saving vehicles of expression to create strong, emboldened leaders with the necessary tools to build up communities for a more equitable world. The Get Lit model follows an own original call-and-response technique. Poets learn classic poetry, claim a poem that resonates, and then pen their own spoken word response pieces, which they perform in tandem. In September, the Get Lit Players will travel to New York City as messengers of peace in celebration of the United Nations' International Day of Peace. By speaking our truth to world leaders, we hope to illuminate how art and policy can intertwine to change perceptions and move the world toward equity, justice, and peace. 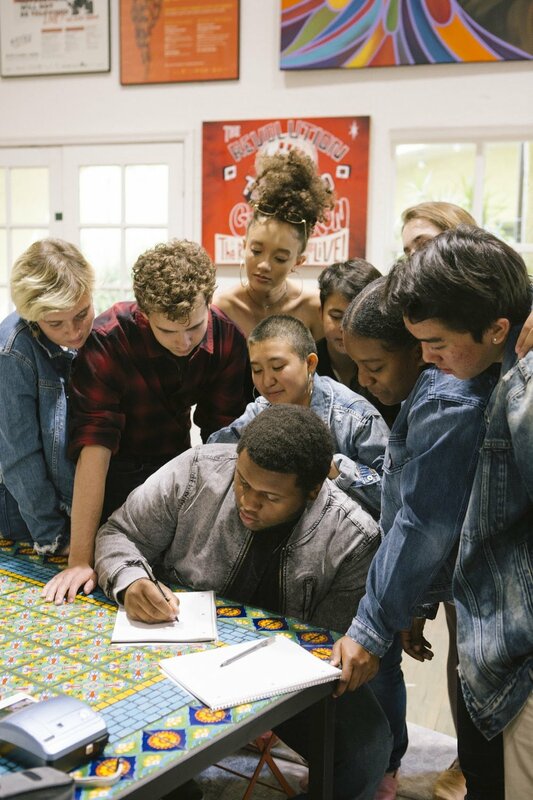 The Get Lit Players are an award winning, professional performance troupe comprised of teenagers from high schools throughout Los Angeles County, and selected through a competitive audition process. The Get Lit Players travel across the nation performing both classic and spoken word poetry and inspiring their peers. They have collaborated with John Legend, Queen Latifah, Questlove, and more, and they have performed at the Kennedy Center and even the White House!